Jon Burlingame is one of the nation’s leading writers on the subject of music for films and television. Scoring for Motion Picture and Television faculty Jon Burlingame was awarded the Deems Taylor Award from ASCAP (American Society of Composers, Authors and Publishers) for his book, The Music of James Bond. Celebrating over 50 years of the James Bond franchise, The Music of James Bond is based on interviews with nearly every Bond songwriter and composer, yielding fascinating and previously undiscovered details. 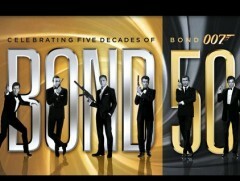 Organized one film per chapter for easy reference, each chapter contains the full backstory of all the music featured in the 007 films. 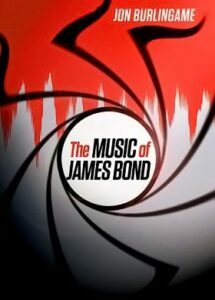 Published by Oxford University Press, the book even details the payments and writers behind the famous “James Bond Theme.” The Music of James Bond also received coverage from The Wall Street Journal and The Washington Post. Jon Burlingame is one of the nation’s leading writers on the subject of music for films and television. He writes regularly for Variety and has written on the topic for such other publications as The New York Times, Los Angeles Times, the Washington Post, Newsday, Emmy, Premiere and The Hollywood Reporter. He has also authored three additional books: Sound and Vision: 60 Years of Motion Picture Soundtracks, TV’s Biggest Hits and For the Record. Burlingame will be honored at a special invitation-only ceremony and reception on Thursday, November 14, at ASCAP’s New York offices.